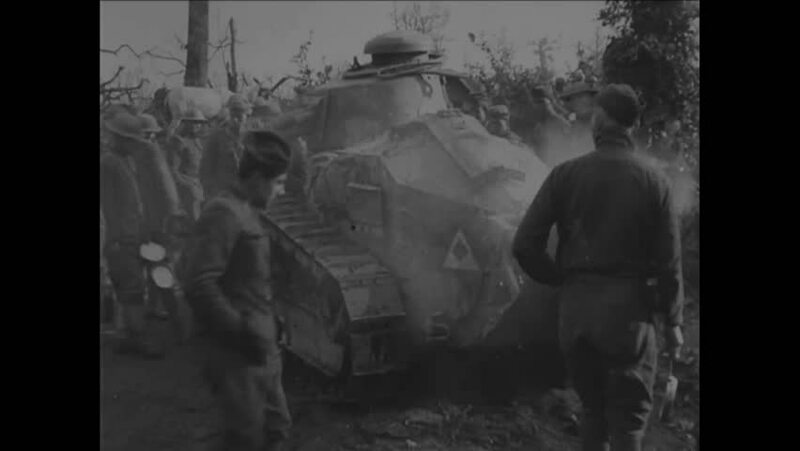 CIRCA 1918 - French soldiers are congregated around an armored vehicle. hd00:251940s: Bedroom. Woman packs suitcase. Man and wife speak. Couple kiss. Man puts arm around woman and leads her away. hd00:38CIRCA 1917 - US Marines dig trenches and unload supplies at a base camp in France. hd00:191950s: Toddler runs to mother. Mother puts boy in playpen. Boy looks around. hd00:37CIRCA 1939 - SS officer Heinrich Himmler is shown and Nazi soldiers execute prisoners of war and families grieve in Poland in World War 2.
hd00:46CIRCA 1950 - The U.S. Army Transportation Corps are responsible for moving goods to the troops in the 1950's. hd01:48CIRCA 1940s - Sinbad the dog visits his publisher and his ghost writer and receives the key to the city and signs his book.